"The House of Yes," Wendy MacLeod’s dark, compelling tale of family dysfunction, captivated audiences on its debut in San Francisco, leading to an award-winning film version starring Parker Posey. This wonderfully perverse cult classic tells the story of an upper-class suburban family whose mannered exterior masks a disturbing family dynamic. When the eldest son brings home his fiancée, his bipolar twin sister goes into a tailspin, sparking a chain of events that lead to an astonishing climax. "The House of Yes" has a plot that not everyone will follow easily, since it involves sexual configurations that aren’t the norm in our society. Even when you grasp the relationships, you wonder "is that really what’s going on?" before coming to the conclusion "yes, it is." 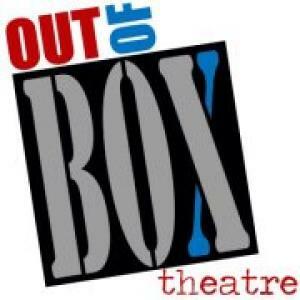 Topher Payne has directed the cast at Out of Box Theatre to bring out the comedy inherent in the script. Timing is wonderful, especially in the performance of Brandi Hoofnagle, who plays an outsider in this odd family dynamic. She has come to the Washington home of Mrs. Pascal and her children as the fiancée of one son. That son’s twin sister has recently experienced a mental breakdown, from which she is ostensibly recovering, but her hold over the family skews the dynamic in a decidedly off-kilter direction. Daniel Carter Brown gives a fine, conflicted performance as the son torn between sister and fiancée. Emily Sams is equal parts delightful and manic as his sister, playing her role with an unmistakable charisma. Matthew Busch plays the other brother with quirky, sly charm. The fact that all three could pass as siblings helps ground the play in a sort of reality. Carolyn Choe plays their mother, and there the family resemblance ends. Ms. Choe is playing a brittle, elegant, amoral matriarch, but seems more to be the Earth Mother type, which works against the script a bit. Brandi Hoofnagle brings a sweet vulnerability and a compromised morality into the proceedings that keep her on the edge of seeming totally wrong for this family and totally right. The physical production isn’t as successful as the acting, although costumes designed by Topher Payne are quite nice. The set works well, with its distinct living room and bedroom spaces, but the pattern in its fabric-stapled walls is slightly askew, and in a way that seems to say "we had to put this up in a hurry and without a level" rather than acting as a comment on the slightly askew dynamics in the family. Joel Coady’s lighting and sound design has some nice effects, particularly an arched window shadow that is most noticeable before the show begins, but doesn’t enhance the show as well as it might. Lightning effects during the first few scene changes are startling and fun, if perhaps a bit jarring, and the living room lights don’t seem to illuminate the space completely. The music cue at the start of the show is overly long, and the hurricane sound effects in the background of most of the play come across as more of a typical rain. The biggest problem with sound is in gun effects. The first couple of possible gunshots occur simultaneously with thunderclaps. That’s quite nice, giving a slightly dream-like quality to the re-enactment of the Kennedy assassination. The final gunshot, though, is done through a sound effect, which makes the ending of the show take on the same dream-like quality, although the staging and the script seem to be aiming for something more real.